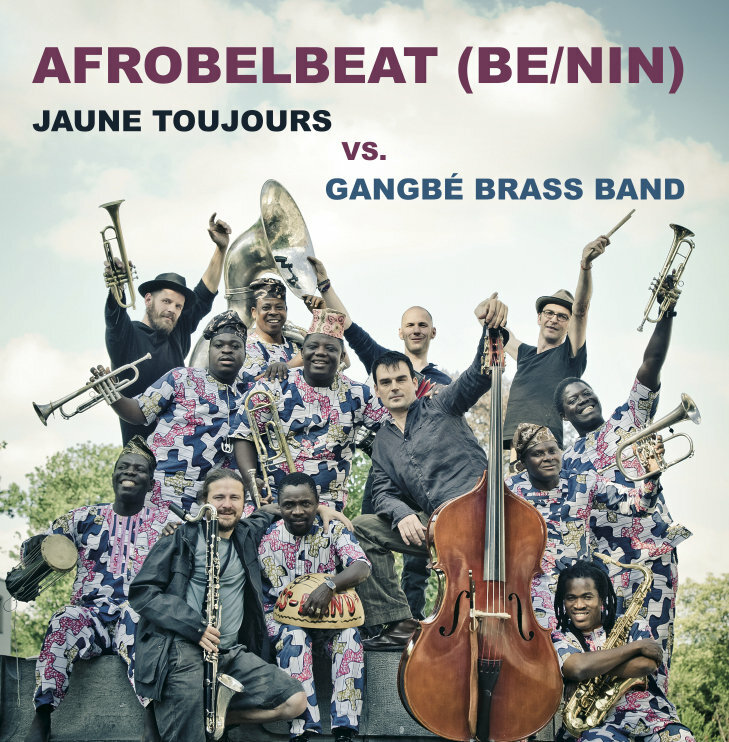 Summer of 2006, Jaune Toujours and Gangbé Brass Band from Benin worked together for a first time (festival concertes at Brosella and Esperanzah in Belgium). They took it a big step further, touring together in Belgium in October 2011 and May-June 2012, and in Benin in November of 2012. New arrangements ànd new songs have been recorded on the 4 track EP Afrobelbeat (BE/NIN), including the single "On y va!"